Charles Dunbar Burgess King was born in Monrovia on March 12, 1871 of Sierra Leonian parents. He studied law and started his career at the Supreme Court, later turned to the State Department. After the turn of the century he became Attorney-General with the rank of cabinet minister under President Arthur Barclay (1904 -12), and Secretary of State under President Daniel E. Howard (1912 - 20). 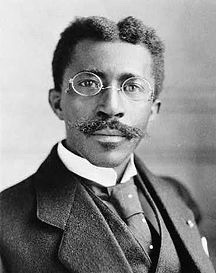 Illustrative for Liberia’s international profile in those days is that King attended the Peace Conference following the end of World War I. He also was among those who signed the Treaty of Versailles. While attending the Peace Conference he was elected president (May, 1919). On January 1, 1920 he was inaugurated. His 10-year Administration is marked by some of the most historic events Liberia and Liberians ever experienced. They greatly influenced the course of Africa’s First Republic. In 1926 the US rubber company Firestone was granted a historic one million acres concession for the production of rubber on Liberian soil which according to some critics made Liberia a ‘Firestone Colony’ for the next quarter of a century. The following year Charles King won the presidential elections with a landslide victory that gained him a place in the Guinness Book of Records for the most fraudulent elections ever reported in history. And last but not least, in 1930 President King resigned in order to avoid impeachment. This happened following the publication of the so-called Christy-report. This was an international report on the existence of forced labour practices in this country created by ex-slaves and freeman and the involvement of high ranking government officials including Vice President Allen Yancy. Since Yancy also resigned, King was succeeded by his Secretary of State Edwin Barclay, a cousin of aforementioned President Arthur Barclay. After World War I, rubber prices on the international markets dropped sharply. As a consequence, the Government of the United Kingdom, the country that at the time dominated the world production of rubber, introduced measures which restricted the supply of rubber on the world market. These measures became known as the Stevenson Plan and went into force on January 1, 1922. US interests were adversely affected by this protectionist scheme as a penny per pound increase in the price of rubber meant a financial loss of $ 8 million for the US economy. The American economy at this time absorbed approximately two thirds of the world’s rubber output. US industries, notably the automobile industry, needed increasing quantities of this raw material. One American rubber manufacturer became so indignant with the British Government that he introduced the slogan “America must grow its own rubber.” It was Harvey S. Firestone from Akron, Ohio. In those days, the monetary economy was absent outside the coastal areas where the Americo-Liberian elite lived. The majority of the tribal peoples of the Hinterland, where the rubber plantations were planned, did not participate in Liberia’s small modern monetary economy and even still used traditional means of exchange, the so-called Kissi-money. Eventually, this situation would lead to the forced recruitment of labour as was described by the Christy-report (1930) which led to the resignment of King and his Vice-president (see below). One of Liberia’s oldest disputes, whether or not to make use of foreign capital in the development of the country, was re-vived as a result of the Firestone Concession Agreement. Also during the 1927 Presidential Elections the ‘Open Door’ issue played an important role. The presidential candidate of the People’s Party, opposed to President King’s True Whig Party, Thomas J.R.Faulkner, favoured the establishment of an ‘Open Door Policy’. President King commented that the country already had an Open Door Policy. His ideas were not uncontested. Notably the exclusive character of the Concession Agreement with Firestone was mentioned by King’s opponents to be incompatible with the classical idea of an Open Door Policy. President Charles King won the 1927 presidential elections with a landslide victory that earned him a place in history – but different from what he might have imagined. The Guiness Book of Records (1982) qualified the elections as the most fraudulent ever reported in world history. Suffrage was constitutionally limited to some 15,000 citizens, all Americo-Liberians, but according to the official election results some 240,000 votes were cast in favour of Charles D.B.King. The following year, the defeated Presidential candidate, Faulkner, accused the King Administration of permitting slavery, slave trade and forced labour within the borders of the Republic. After his defeat in the 1927 presidential elections, Thomas Faulkner accused the President-elect, Charles D.B. King, of allowing slavery to exist in the Republic. Worse, he also stated that certain highly placed government officials were engaged in the forced shipping of labourers to the Spanish island of Fernando Poo. Moreover, he accused them of making use of the Liberian Army (called Frontier Force) to achieve this. The accused government officials were the President of the Republic and Standard-Bearer of the True Whig Party (TWP), the country’s ruling political party, Charles King, the Secretary-General of the TWP and Postmaster-General Samuel A. Ross, and the country’s Vice-President Allen N. Yancy. Not only Americo-Liberian government officials had benefited from the fruits of forced labour, a large foreign enterprise was also involved: Firestone. Following publication of the report, the House of Representatives started the procedure to impeach President King who hastily resigned. He thus escaped a public trial as the Liberian Constitution reads: ‘No person shall be held to answer for a capital or infamous crime, except in case of impeachment.’ Vice-President Yancy made the same decision – defended and advised by his cousin, the lawyer William Tubman (who became President in 1944). The third high-ranking Liberian involved, Samuel A., Ross, had died in the beginning of the year. Secretary of State Edwin Barclay succeeded King.